I want to say how much I am enjoying it. The photos are incredible, and the stories are powerful. I grew up in Alberta, my grandparents homesteaded, and I've read various community history books. But somehow you have made that era come alive in its ruggedness and pathos and doggedness. Hello Dion. I got your book today and I must say you have outdone yourself. It is captivating, and your writing style just makes the book come alive with the setting and people you describe. Thanks to an enthusiastic response, a second printing of Prairie Sunset was done for 2017 as a special version for Canada’s 150th anniversary. Following the author’s travels throughout western Canada in 2017, the book is available in over 150 stores. The second printing of the book includes a translucent band with the official Canada 150 logo on a special vellum paper. The eye-catching band contains readers’ comments on the inside front jacket, and is removable for use as a bookmark. This unique edition will be available throughout Canada’s 150th year, until July 1st 2018 – while supplies last. Hardcover, 240 pages, 11″ by 11″, full colour, highest quality fine-art book. Printed and bound in Canada, by Friesens Book Division in Manitoba. I grew up on a small farm in the Canadian prairies, and witnessed the way of life that began a century earlier with the homesteaders. 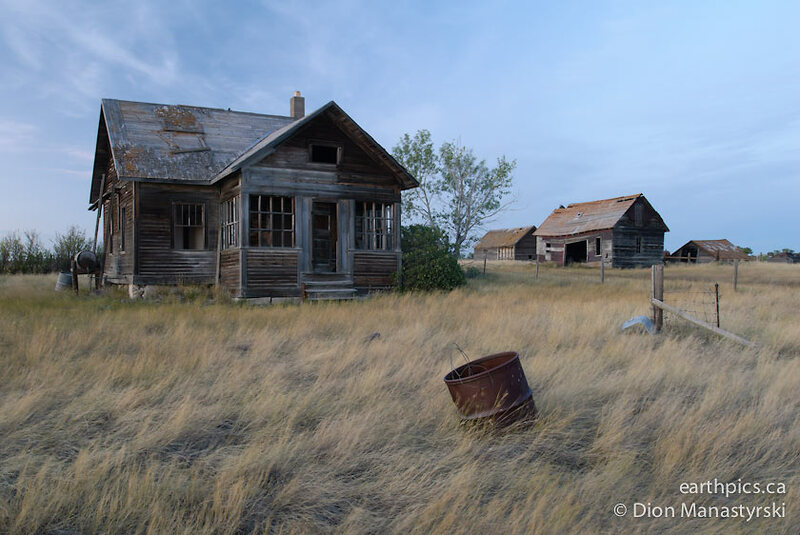 The small family farm was at the heart of the rural life on the prairies: neighbours within walking distance, a rich sense of community, and vibrant small towns. In 2003, I began a project that took me back to this land to photograph and capture the story of change. In my search for understanding as I roamed the homesteads of a vanishing era, I photographed the abandoned structures, and talked to people of the prairies. Collectively, they have a remarkable story to tell, and I would like to share this with you. Picked mine up on the weekend….it’s an incredibly GORGEOUS book! Thank you so much for all of your hard work on this labour of love. I feel honoured to have been part of the crowd-funding to make it happen. You should be really proud with what you have accomplished. I can’t wait for my kids to see it. Martin would have been proud to see finished book, as I remember you talking to us when it was in the dream stage. Wow, it’s a beautiful book!!! You’ve made an amazing masterpiece. I went and sat at Willis bakery, while I looked thru it. Someone asked me what I was looking at. He said it looked like a great book. We looked at it together, he loved it. I was happy to hear that you have extra copies. I can summarize my comments about your book in one word: SUPERB!!! (Excellent photographs (not surprising), very good quality paper, embossed cover, etc.). based on the quality and size of the book I am not surprising that it took so long to get it into print. It was worth waiting for it. You can be proud of your book. I am looking forward to your presentation(s) in Victoria. I hope to catch you there or some other time, because I would like to ask you to write a few words for me in my copy. Thanks Dion, I got your books. Work of art. Looking forward to your show and learning more about your location and lighting scouting skills. Your work demonstrates a real knack for not only taking maximum artistic advantage of your situations, but also for getting yourself into situations that present you with maximum artistic opportunity! I received the book today.. OMG I’m like kid in a candy store ! What a nice book. I love every thing about it. Your images are GREAT, the inlay photo, the embossed wheat, the gold lettering, the cloth wrap, and the colours. Haven’t read it yet but I KNOW it’s going to be grand. Wow Hilary, what a wonderful book! Thank you for the gift! The photography is superb and the history it covers is of special interest to Marilyn whose great grandparents came to Canada under the conditions described in the book. We are so pleased to have Dion Manastyrski’s book, thank you so much! Apparently he has been working on it for years. He must have travelled all over the prairies, and over a long time to have got together this collection of stories and photographs. We’ll spend many hours of enjoyment with it. Just got my books in the mail, you did an amazing job – it is truly a work of art. Very impressive, the photographs are awesome. Hope you had a safe journey back to BC and that everything else is good. Hi Dion! I received a copy of your book for a wedding gift from Diana! Very nice! Love the binding and the glossy pages. Great pics. A beautiful job! Well done cuz!!!! I recently just picked up the book from my brother and it is wonderful!! The time and effort you put into it shows on every page – you really did a fantastic job with it! It is hard to put into words just how wonderful your book is, and what a keepsake it will be for generations to come. You really did an excellent job with this book! You know it’s good when you find yourself unable to put it down at 2 o’clock in the morning… and the stories are incredible about how hard those young kids had to work on the farm. Love it! Hello Dion, I’ve just had a look at all the fabulous photographs in the book, and feel as if I can walk right into the larger ones. The colors are so beautiful. Thank you! You should be so proud of the book – it is truly beautiful and of the highest quality. I read half of it on one of the flights home yesterday and am looking forward to reading the rest of the personal stories as soon as I get caught up with things at home. My sister Karol phoned me this afternoon – she had just finished reading the book and I made a note of her comments to pass on to you – “It’s marvellous! I absolutely love it. I can’t express how much I enjoyed it.” She and her friend Ab Kingdon were on a slow-pitch team with Tony Kutcher and his late wife of Dauphin, and she recognized a couple of the schoolhouses in the book. She just kept raving – hands down the best present I have ever given her – and she said if she had your address she’d write and tell you just how much the book means to her. (I told her I was taking notes and would relay them to her). Thanks again, Dion, and congratulations on an absolutely top-notch project; anything worth doing is worth doing well, they say, and it would have been a shame to have produced a less impressive book considering the stellar content. I was impressed with the proofreading of your book, too; I am an inveterate nitpicker but came up empty-handed in your book! One of my sisters-in-law was looking at the book on the weekend and she was impressed by the large print comments which encapsulate the story for those who lack the time or inclination to read the book cover to cover. It brought so many memories to the surface for me of life on the farm in the late 1940’s and early 1950’s. I look forward to meeting you sometime. I was taking my time, savoring the book a few pages at a time but sadly, now it’s finished. The stories ring true with me even though I’m a city slicker. Your wonderful book stirs a lot of memories of my all too brief visits to the farm. I will never forget Grandma’s cooking, her fresh baked bread, the homemade jams, jellies and preserves made from the saskatoons and chokecherries that we helped pick. We were assigned whatever chores needed doing. I never got the hang of milking cows but I could churn butter and turn the crank on the cream separator. Chores also included fetching water or wood or going out to herd the cows back to the barn in the evening, collecting eggs in the morning, splitting and cording wood and occasionally butchering a chicken for supper. When I was deemed old enough, (12 years) I was taught how to drive the old John Deer tricycle tractor and given the job of harrowing one of the fields. Couldn’t drive much of a straight line but I finished the task without tipping the tractor over. That was probably the last time we visited. When Grandpa retired the farm was sold to my cousin. 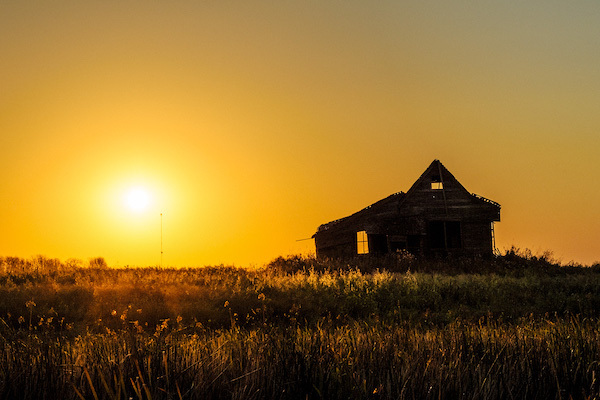 He tore down the old house and barn and plowed the whole yard for crops. I don’t know if any photos of the old place still survive. A way of life has gone but your book helps to preserve a little slice of what it was like. Congratulations on creating this marvelous work. I must say it left me wanting more. The Collections are where we neatly organize and categorize our photos and posts into easy to digest collections. Each Collection has a theme and a story to tell so dive in and immerse yourself. Our Blog is home to all of our updates, these aren't always photo based, but are more about general updates and infromation for you lovely readers. Never miss anything again and stay subscribed. Browse over all of our content pages and posts. Everything we've ever put online is stored here.